Let’s face the facts here – Children know how to be downright terrifying at times. They lurk behind your door and say “Hi!” Without any hesitation, knowing they’re going to send you into cardiac arrest. They’re brutal, malicious, terrif– I’m being a bit dramatic here, but you get the point. Sometimes, especially in media, kids know how to be scary. But that’s fine, because they make a great list for our Top 10! 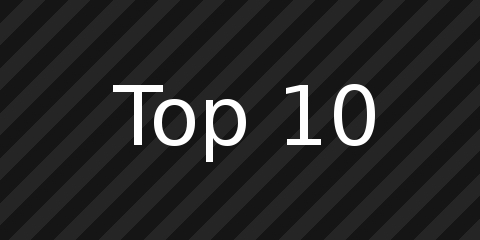 With the shocking revelations from last week’s Top 10 that our good friend, The Otaku Judge has been trying to corrupt our dear readers to be as warped and as twisted as… Well, the rest of us… we had a clear winner for this weeks Top 10 list. 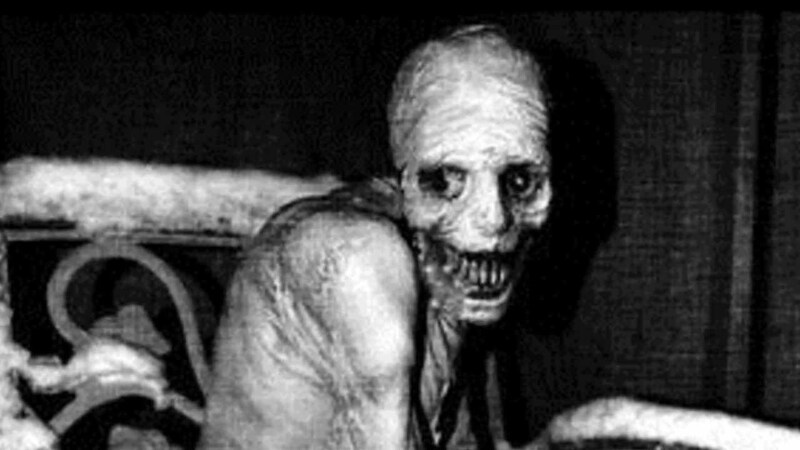 We’re going to dig deep into Creepypastas. From the weird and the macabre, Creepypastas have had a huge impact on the internet and indeed on geek culture. What’s that? You don’t believe that Creepypastas have done anything for geek culture? Read on, you may be really surprised with some of these results. Before we go into this one, a Creepypasta is generally a short story that is meant to make the reader feel creeped out, disturbed or downright disgusted. With this in mind, we had to look through the prose that was indeed a Creepypasta and look past the more real stories. That could potentially be a theme for another week… Still, here we go. Oh and WE ARE ALL DEAD. Not really. Our number 10 entry is reserved to a bit of an anomaly on the Creepypasta list, because although this is one of the most famous Creepypasta characters known to the fandom, it’s also one of the worst. You see, when your character is just some character out for revenge because reasons and can do just about whatever it wants, especially when it’s an angsty teenager… Well, you know it’s not going to be the best. 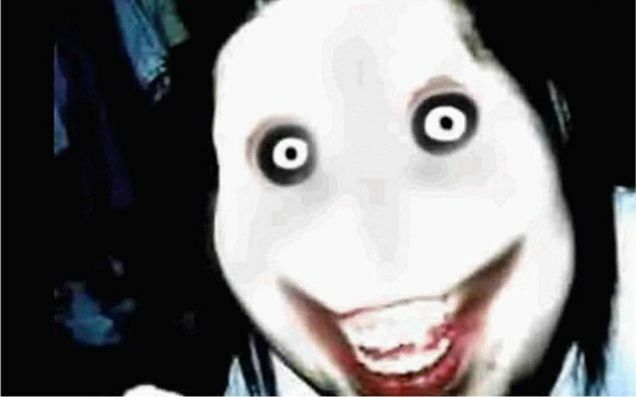 However… I actually like the Jeff the Killer character and the stories. No, they’re not wonderful examples of Creepypasta, but look at what they’ve done! The stories have torn the community asunder in a really interesting way. There are those who look to mimic Jeff, some even going as far to literally copy the looks of the character as well as what it does. To find out more about this character, you should check out the original Creepypasta. 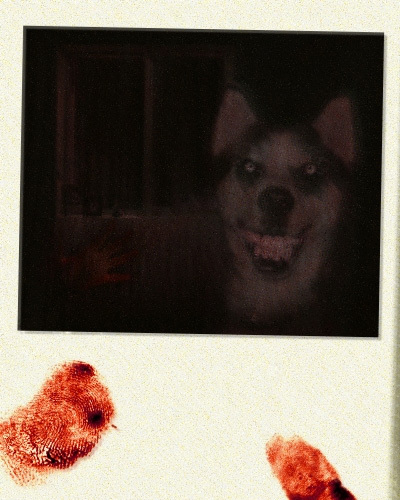 One of the most infamous shock pictures on the internet comes in the form of Smile Dog, also known as smile.jpg. This ones story is actually pretty fun, so I’m just going to give you a condensed summary of it. Joel put it best when he said it seemed sort of “Ring” like… I guess it is, in it’s own magically tragic way. The smile.jpg file came about from the early days of the internet. You know the times, BBSes were all of the rage (bulletin board systems). As well as this, viruses were spread as e-mail attachments, usually with some flavour text to entice the readers to double click on the file and open it up. Instead of a virus infecting a computer, the image was able to create absolute insanity to whomever may glance upon it. They would also then be compelled to share the image with others. In some ways, this plays upon the Chain-Mail mentality from back in the day… and it’s a really fun read. Check out the original Creepypasta. This one is a little special. A group of strangers on a message board piece together memories of a TV show they used to watch back in the earlier 70’s. Low budget, a little weird, even creepy at times, but hey what kids shows don’t have their darker side. There’s a whole mess of conspiracy theories surrounding Rugrats or Toy Story for example, but Candle Cove was never big enough or popular enough to have a conspiracy to its’ name. The full series is nowhere to be found, but you can watch a few episodes on YouTube. It’s a little bit weird still to this day, terrifying as a child, but just a little weird now. I shan’t spoil the ending for you, but suffice to say that the final episode is not for kids, and no, it’s not actually from the 70’s. Click this link for the original Creepypasta. A girl and her brother used to love playing the older Pokemon games as kids, so they reminisce about the good old days. They get themselves a copy of Pokemon Gen 2 (She had Gold, whereas he had Silver) and he also put a Gameshark into his GameBoy Advanced. He found a secret one called “Easter Egg – Snow on Mt Silver”. It drove him mad and she vowed to check out what the commotion was all about. As she plays through, in game, Gold looks very cold and all of the beloved Pokemon on her team starts to die from the frigid cold. She faces off against Red, whose Pokemon are even more dead and frostbitten looking than her own, getting worse as time goes by. I’d heavily recommend this one for Pokemon Creepypasta fans. Read the original Creepypasta here! A blood-stained woman walks into an A&E. 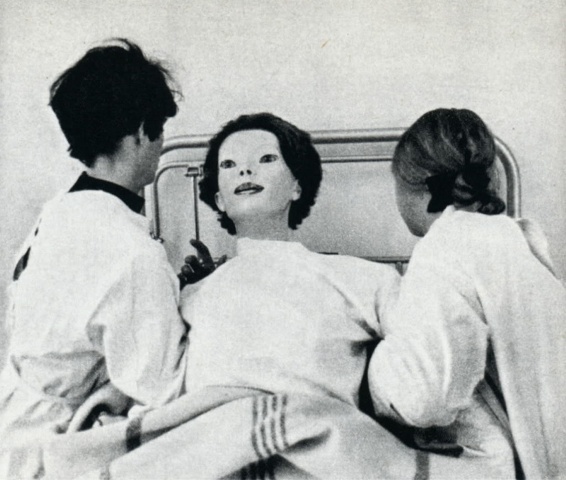 No one can look at her for more than a few seconds, her very appearance induces nausea, she looks like a mannequin moving around like a human being, her teeth are long needles, and her face, despite the trauma she appears to have been through remains utterly expressionless. This is a short and simple tale, not one with far reaching consequences. However, in a that short space of time it induces a gripping terror of something inhuman walking the world like one of us, something that could well be amongst us even now, and more horrifically kills swiftly, and seemingly without purpose. It’s the natural made unnatural, which is the very essence of horror, condensed. Don’t forget to read the original Creepypasta! BEN DROWNED is a copy of Legend of Zelda: Majora’s Mask that still has a saved file called BEN. It starts out normally enough except that the NPCs often refer to the character as BEN, deleting the save file causes the names to be removed altogether, which is the beginning of a particularly dark decline. 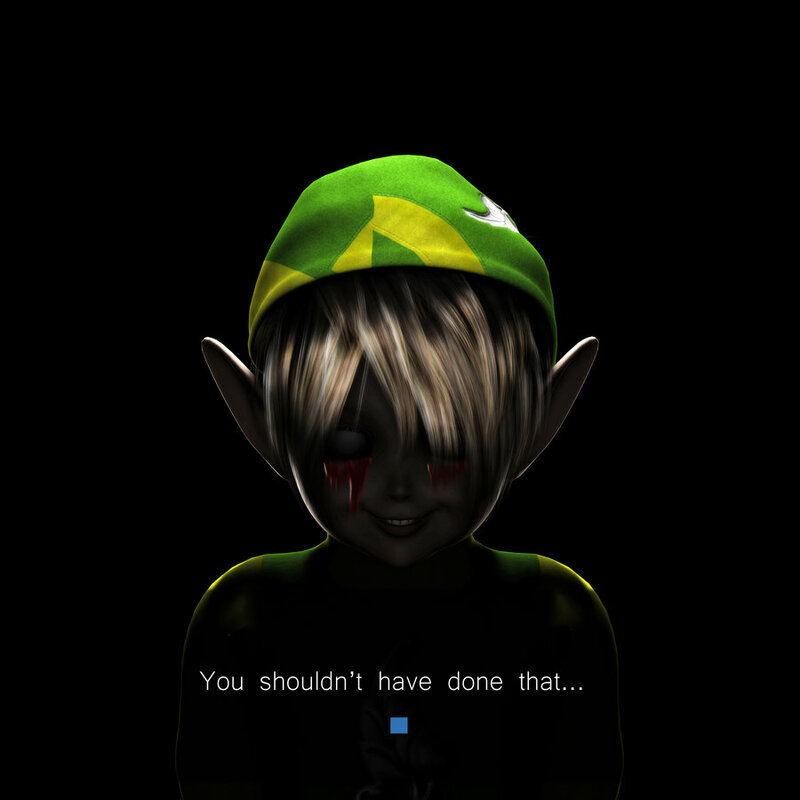 BEN DROWNED used a series of eerie catchphrases from Majora’s Mask such as: “You shouldn’t have done that.” and “You’ve met with an unfortunate fate, haven’t you?” all accompanied by the face of the smiling trader, often embedded into Link’s head, just to add to the unnatural feel. Read the original BEN Drowned Creepypasta. This is similar in vein to The Slender Man, a Creepypasta that sparked the imaginations of people everywhere. 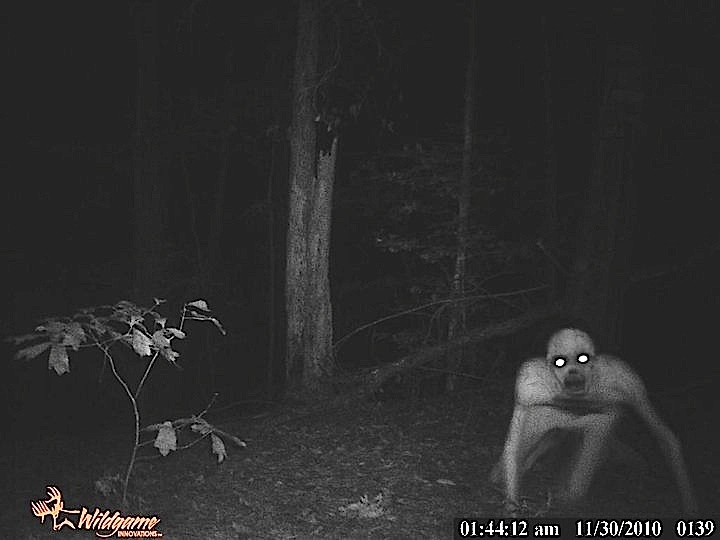 With people saying “I’ve seen it, it’s real!” and “2spooky4me!” Okay, the latter might have just been mocking The Rake, but make no bones about this: It’s an incredibly effective Creepypasta that seems relatively plausible (a rarity) and has since become video games. It’s not higher on our list because it doesn’t have the same staying power as The Slender Man (Whom we’ll get onto shortly), but it’s a really well received story. This acts more like a narrative for the unknown, The Rake is a story which focuses on uncovering the secrets of this strange human-like creature. It tries to walk like a human, but generally finds that it can’t. It tries to act like a human, but generally isn’t. It doesn’t talk like a normal human – but people are certain that it’s real. The story takes accounts from various sources dating between 1964 to 2006. I’d recommend giving this one a try, by reading the original Creepypasta. The Internet’s greatest bogeyman is a legend that has expanded beyond the digital bounds. An abundance of horror projects – like MarbleHornets and Slender: The Eight Pages – amidst a plethora of fan-fictions and artwork have built a tale that no longer deserves the name “urban legend” and is simply an endemic part of modern society. 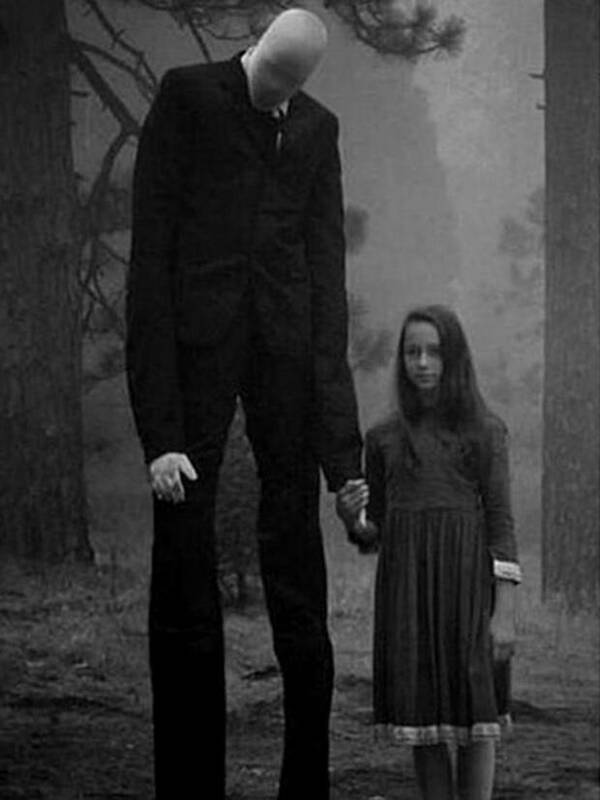 Although it’s not alone, Slenderman, or Slender Man, has had the most famous impact in real life, the recent crimes supposedly undertaken in His name. It’s never a pleasant thing to consider, that stories can inspire real tragedies, nonetheless the level of influence of this crowd-sourced phantasm has had must at least broker a little respect. Simply put, we created a monster. And now you should read the original Creepypasta. Before we get into this one, let me tell you that this is one of the all time best written Creepypastas out there. A good Creepypasta really should let you feel as if it’s something that could happen for real. For one, let me confirm that Tulpa’s are an actual phenomenon. It’s quite a terrifying concept as well. No, this doesn’t have anything to do with the video game by the same name, to my knowledge. 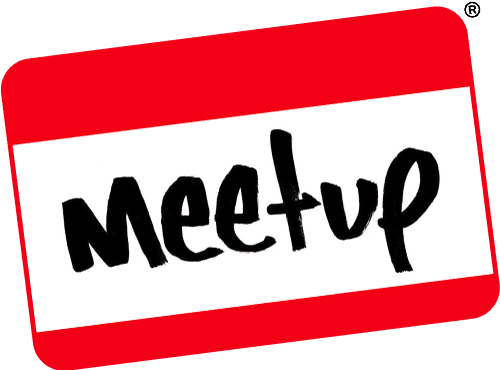 A guy undergoes a scientific experiment whereby he is to sit in a room for a long time, where he’s supposed to imagine another person into the room – His Tulpa. It started off innocently enough. The guy had to imagine his Tulpa was there and he would have to make it interact with objects and the likes. All the while, scientists were reading scans from his brain. They then put him in a room with disturbing, discordant music. Of course, things get more erratic from here on in. His Tulpa started to get him to do bad things, such as beating one of his friends. The Tulpa started to literally control him, much like he controlled the Tulpa. Needless to say it gets more disturbing than that and I’d highly recommend you give this one a read as soon as possible. There are plenty of weird and creepy stories about war-time experiments, in fact the Russians and Nazis are accredited with a vast array of inhuman – and mostly fictitious – scientific procedures and tests that are a fantastic source of grim horror stories. The Russian sleep experiments are brilliantly freakish, the tale of a group of test subjects that are contained within a chamber flooded with a powerful gas stimulant. The end result is that the chamber has to be opened and the experiment halted two weeks in, the remains of the tale tell of the mutilated lunatics that emerged, screaming, laughing, demanding more of the gas, presenting inhuman medical readings. Gore-horror translates better in the written form I think, and though the whole thing lasts around thirteen minutes to listen to, it conjures unsettling images, and ends with a rather dark concept. Don’t forget to read the original Creepypasta! Also, there’s a movie on the way! In 2004, Something awful foresaw the coming of Zalgo, bringer of the end, something truly terrible. Zalgo is the infestation that spreads amongst us, the finality. Its’ dark malfeasance has roots that have spread back through a century to weave itself into the midst of H.P. Lovecraft’s darkest imaginations, despite the fact that it never originated there in the first place. Can you hear it? That scratching behind the walls? Not the walls of the room, no… the walls of perception, the boundaries built of light, and colour and sound, as brittle as paper that we laughingly call the world. It could reach through it all and touch you, and leave you forever changed. Scream for us! Add your screams to the choir! Scream for Zalgo! More information on Zalgo can be found on Creepypasta Wikia. This one is what’s known as a Trollpasta, which is when someone pretends to make a Creepypasta which then has something so anticlimactic or so anti-creepy, that it’s just humorous. They’re usually really poorly written and have little to no deep meaning behind them. Granted, not many Creepypastas do have deep meaning, but at least they try to at least be well written, or just an entertaining read. YOU GO UP TO TEH CAR AND THEN A SKELETON POPPED OUT! Dang, I nearly gave myself a heart attack… I hope you liked my prose, however. But don’t waste your time with my drivel, read the original trollpasta! Weird, somewhat gross and macabre, Creepypastas are so much fun to read! But alas, this is just our list. I want to know what your favourite Creepypastas are and if we have the best of them covered off here? Do you like our list? Do you agree or disagree with our ordering? Why not let us know in the comments below, but beware, reader: We’re behind you, watching what you type. Not really.